Afshan Raheel won the last Eid give away of Ilyas & Duck Search for Allah. Congrats Afshan! 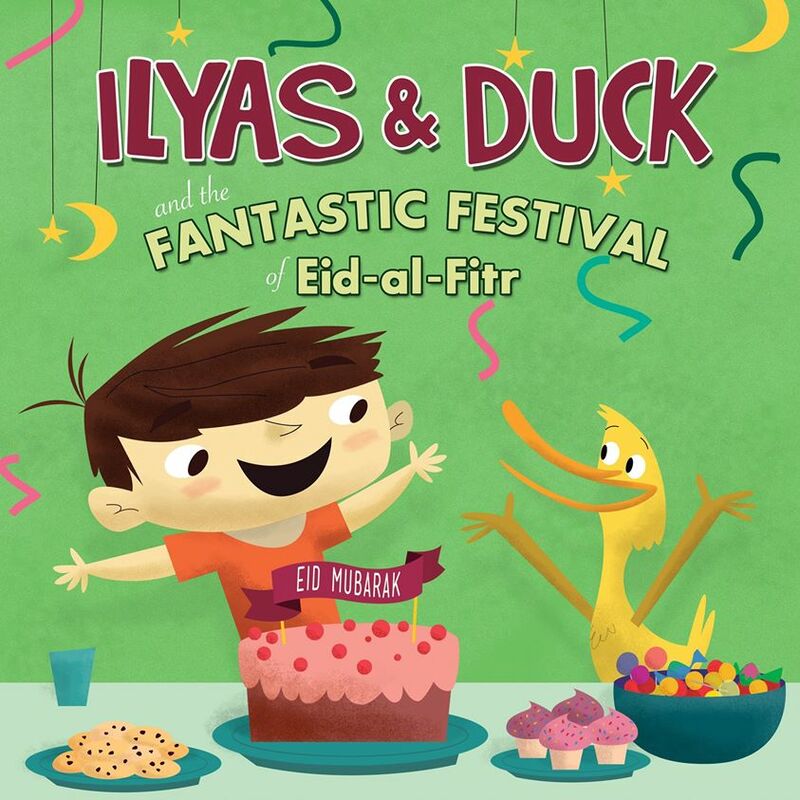 This time Little Big Kids and I are doing another eid giveaway for Ilyas & Duck and the Fantastic Festival of Eid-al-Fitr! I really wanted to work with them in giving away this story to a reader around the second Eid time, as it’s such a great Eid story for little ones. I know it’s Eid-ul-Adha not Eid-ul-Fitr coming up, but I think this story a general good all-round Eid story, as it teaches little ones what to expect for Eid. This story was my Eid gift to Z & A for last Eid, and I was so excited when it reached here in time. 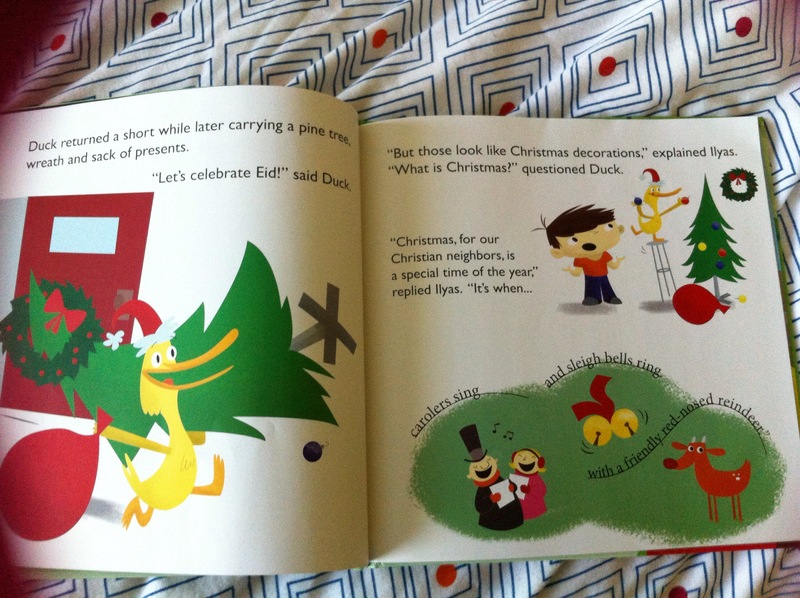 The 2 love this story and enjoy reading it and seeing the antics Duck is up to, as well as pointing out Eid goodies such as blue lollipops and pink iced cake. “I see,” responded Duck with enlightenment. Then he bolted out the front door. Duck then returns with a menorah and Ilyas says Hanukkah is for our Jewish friends. I really like how author Omar Khawaja chose to mention our Jewish friends and Christian neighbors, as our children see Christmas trees and Hanukkah candles, and are often curious about what it’s all about. Duck had an idea! He thought it was ingenious. 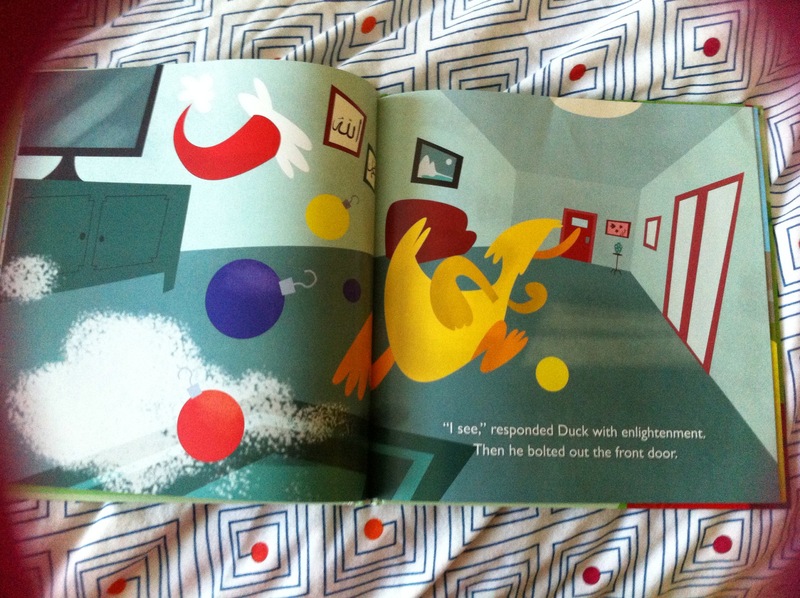 “Maybe we can learn about Eid-al-Fitr at the Masjid,” suggested Duck. 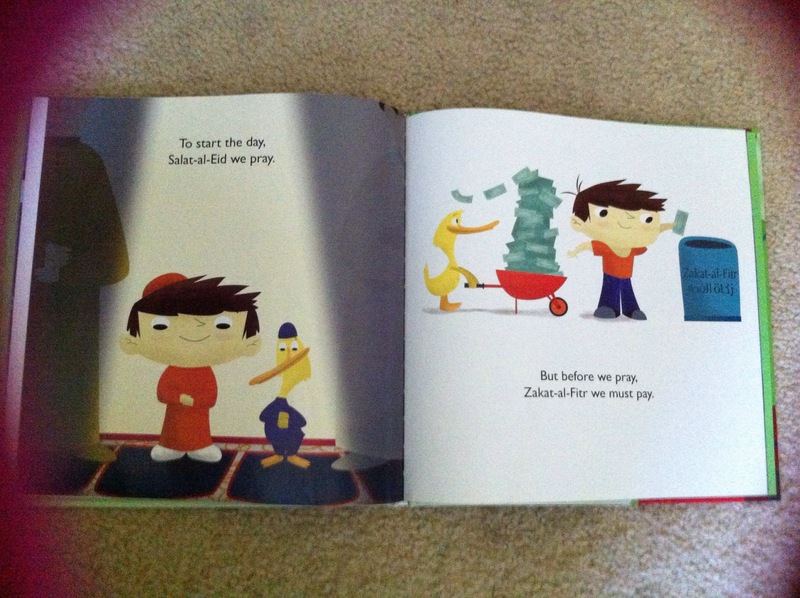 The rest of the story then shows how Duck and Ilyas explore Eid together at the Masjid, the new clothes they wear, how they dress up for Eid, how they pray for Eid, bake, work on arts and crafts, help others around them, and have fun! I like this book even better than the first. As a writer, it’s hard to keep up the momentum with sequel characters, but in this series Omar Khawaja and Leo Antolini made Ilyas and Duck amazing once more. Leo Antolini’s illustrations of Ilyas and Duck hopping into a hot air balloon to go to the masjid to opening up Eid presents is classic and humorous. What I especially like about this story is that it’s fun to read for adults as well as children. Some books that we read over and over, I will hide if they are annoying, but this is one story that I am proud to display! 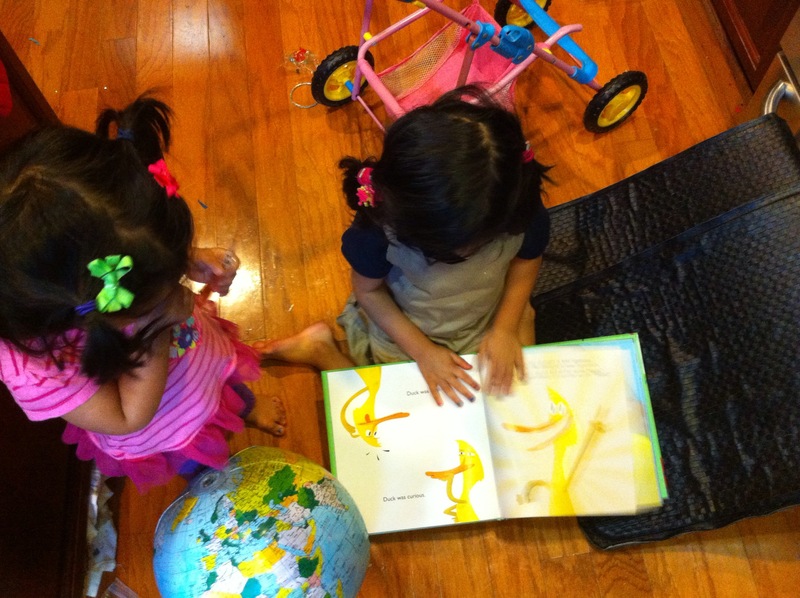 I often see these 2 taking a toy break and reaching for a book, and this is 1 book they enjoy reading together. 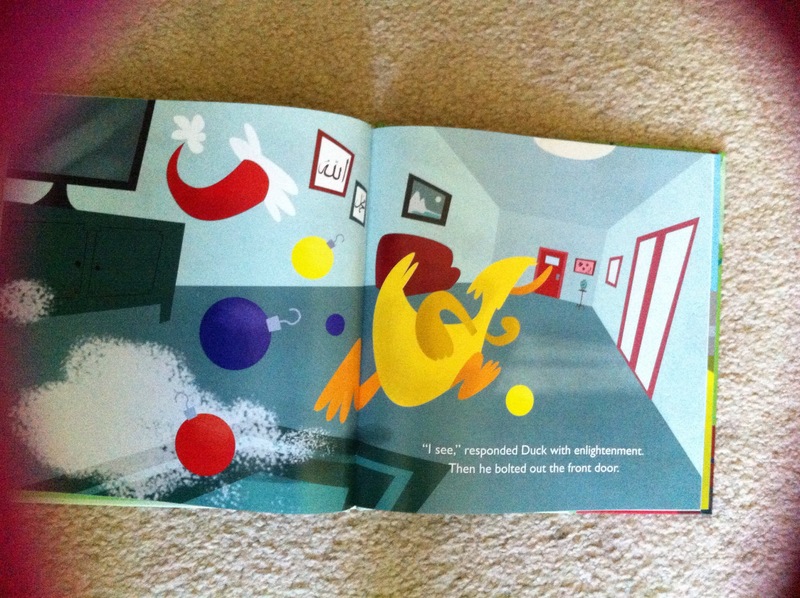 Bonus: The book also has a glossary at the end with fun factoids, similar to the last book. Deadline for entries: Friday the 26th September. Disclaimer: I will put in a request to see if Little Big Kids can mail the book out in time for you for Eid. It will make an awesome Eid gift for your little one! I cannot guarantee when they will mail it out to you, but I hope you and your little ones enjoy this heartwarming story! Eid Mubarak! ***Also, wanted to share that this Eid I plan on getting Z Circle of Sandcastles – The Prophet Says Series by by Mariam Al-Kalby (Author), Yee Von Chan (Illustrator). They published The Apple Tree – The Prophet Says Series and when I saw them come out with another story, I knew this would be the perfect gift for Z! As for A, she’s a fan of Brown Bear, Brown Bear, What do you See? 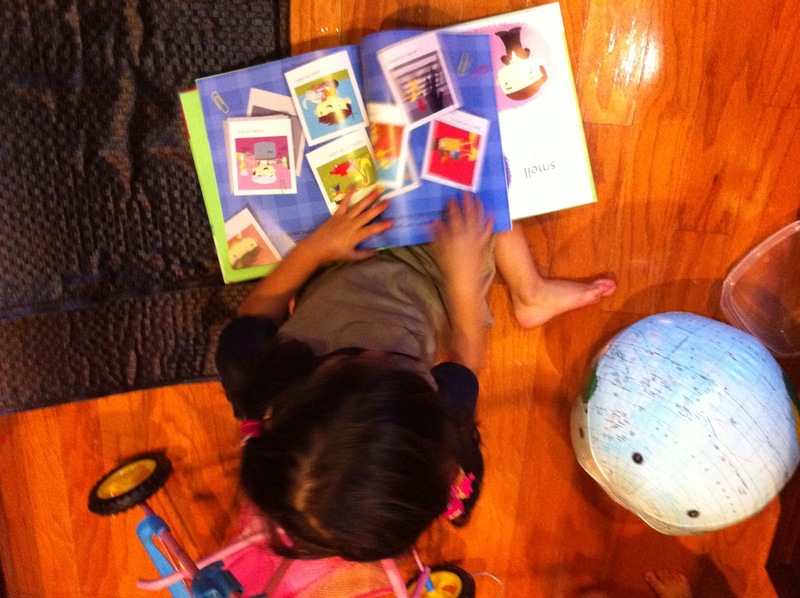 and our book is due at the library so thinking of just gifting her this story for good! I took the steps to enter the contest. thanks! sorry you didn’t win but please keep visiting for more updates! thanks! The randomly chosen winner is Noorulain Syed!